I'm so happy September's over! Although I want time to slow down since I don't wanna hit November yet, I'm so excited for October! This month will be a very special month for me. 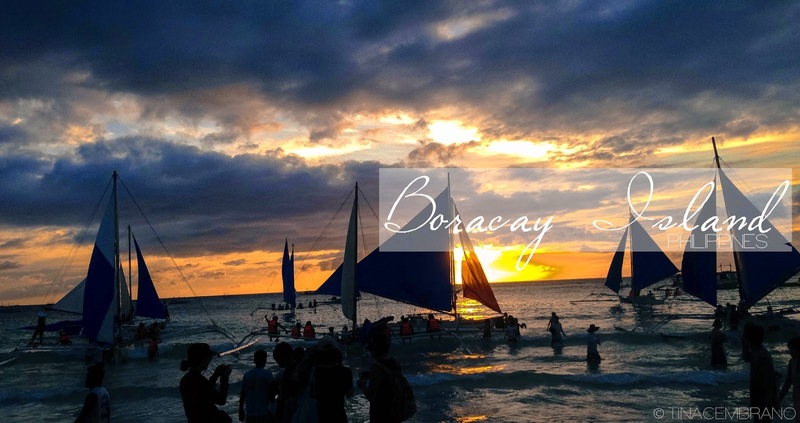 My friends and I have always wanted to go to Boracay altogether but this is the first time it's actually happening in real life. I can't wait to be with them and do such exciting things together. This will be one hell of a ride, I'm sure. I'm still working on my pocket money but I know it'll all be ready once the trip is due. As of now, we only have our tickets. Monica told me that we are to book our hotel some time past October 8 so the payment will be on November. I guess that sounds just right. Nevertheless, I won't mind which hotel/inn we're going to stay at. I'm sure we won't be spending time in the room anyways. Another thing I have to prepare for is my body. Well, it's October 1; and it's too late to work for that "beach body". I guess I just have to cut down my Starbucks, extra rice, and all unnecessary food intake so I could lose a few pounds before hitting the beach. Oh my gosh, this entry has been nonsense. Excuse my excitement. 3 comments on "Another Much Needed Sweet Escape"